I want to thank all my customers for a great 2018! I am looking forward to new flavors being announced in 2019. I’m hoping everyone has a happy and healthy 2019. Order by December 19th to receive by Christmas. From today til midnight tomorrow in honor of all of my fellow veterans. 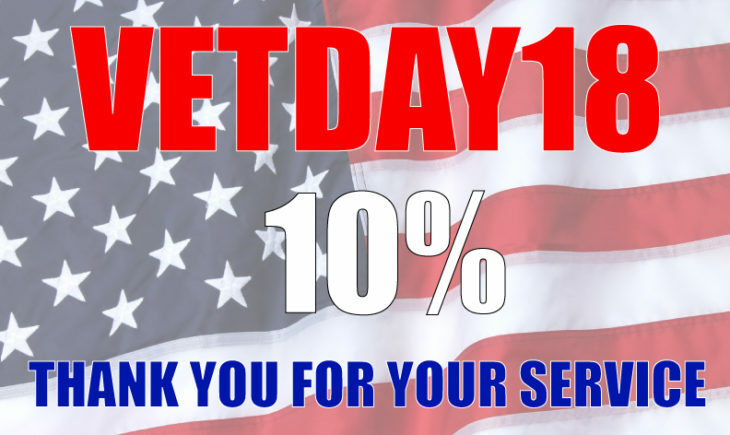 Use promo code VETDAY18 for 10% off of everything on our site. Here it is…. the MOAB Gold bar. Order your challenge bar today. We are now offering gift certificates!! Perfect gift for birthdays or holidays; get someone special a Willy Pete’s gift certificate today! Now accepting credit and debit cards!! Our new website now offers a secure checkout page, we accept credit and debit cards along with Paypal. Please don’t hesitate to contact us anytime on the website or facebook if you have any questions about your orders. We typically need 1-3 weeks to process orders, but we are doing our best to improve lead time. We appreciate everyone’s patient and kind words when you do reach out to us. If you have a deadline or an event you want to order for, just let us know. We will do everything we can to get your order out on time!! Sorry we are late updating our MOAB Champion page, but its been updated. If you have a MOAB video you want us to post, please send us a message, we want to see your video. Awesome job to everyone who tries this insanely hot bar, you guys rock!!! So there has been some recent incidents where the MOAB challenge has been attempted with altered product. While this was supposed to just be for fun and about some bragging rights, people are turning it into a drama filled argument. So, to clarify, this is about FUN, and the chocolate must be eaten unaltered (ie. not melted, not as soup, not as a milkshake etc). It must be a fully intact un-melted chocolate bar. 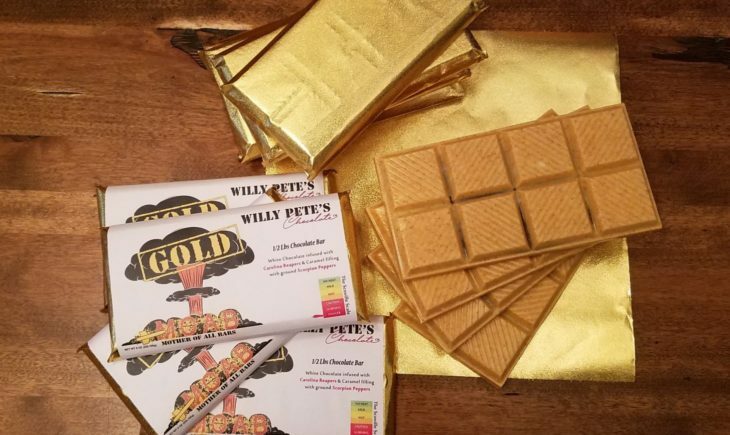 ** Willy Pete’s Chocolate also has every right to deny a “winner” if the challenge was not fairly done. We are still getting warm weather in most states, don’t forget to add a cold pack to your order. We are running a sale on the cold packs until the end of Summer.